Get the best Carpet cleaning price in the Bexley by calling 020 8050 2865 or request a quote by using our quote form. Once you hear the prices we offer for carpet cleaning in Bexley you won't even think about calling another cleaning company. 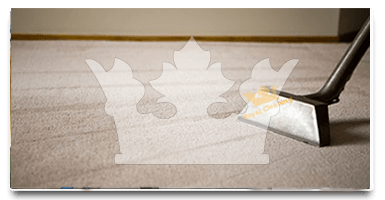 Our rates are so competitive, but the quality of our carpet cleaning is the best you'll find not only in Bexley but the whole city of London as well, thus the name of our company - Royal Cleaning. Call one of our representatives at our office number - 020 8050 2865 and you'll see just how good the retes we offer really are. 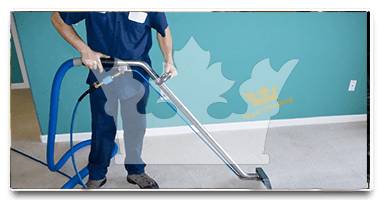 To top it all off, we offer a 48 hour guarantee on all carpet cleaning jobs in Bexley, so you feel confident that we'll get the job done for you without any hassle. Call us now and book your appointment with one of our fully equipped, carefully vetted carpet cleaning teams in Bexley! Our carpet cleaning in the Bexley is second to none. Prices are fair and so affordable, that you'll be surprised. At your service you have our carpet cleaning vans fully equipped with the latest equipment and regularly serviced. Our Bexley carpet cleaning technicians are well trained in the art of carpet care by the NCCA - the National Carpet Cleaners Association. Our carpet cleaning in Bexley is backed by our Company Guarantee: If you are not entirely happy with the carpet cleaning, we will come back and complete the task to your full satisfaction! Our experienced carpet cleaning experts will choose the quickest and most effective way to clean your carpets with just a quick brief inspection off them in Bexley. 1.A guarantee for the best prices for both steam and dry carpet cleaning in Bexley. 2.Our own detergents which are both green and the best in the business - included in your final price. 3.Dry carpet cleaning is used for delicate surfaces and carpets and steam shampoo cleaning is used for common fabrics and stubborn stains that won't come off easily. For a fantastic experience with our carpet cleaning technicians in Bexley, please contact our call operators at 020 8050 2865 where you will be presented with all the necessary information ensuring you don't get mislead in any way and getting the perfect price - right within your budget. I would gladly rate the carpet cleaning performed by Royal Cleaning for me in Bexley with a full 5 star rating. I haven't been able to check the offers that I got after the date I needed the job done, but as far as customer service, Royal Cleaning were fast and their prices were better than the ones of others. My home is looking crisp now. A simple carpet cleaning session and all of my allergies were gone. That was fantastic! I trust my wife to have made the right decision booking the job with Royal Cleaning because their prices were great.